Every year, a high number of immigrants visit the People’s Republic of China to explore and enjoy all the wonderful benefits the country has to offer. Nigerians represent a significant percentage of people who visit China regularly. A lot of Nigerians travel to school, find a new work or even a new life and engage in business activities, others travel to sight see, visit family and enjoy the environment. Applying for a Chinese visa in Nigeria is not an especially hard task. Apart from the couple of forms you have to fill, an important aspect you must take care of is the payment of all necessary visa fees. 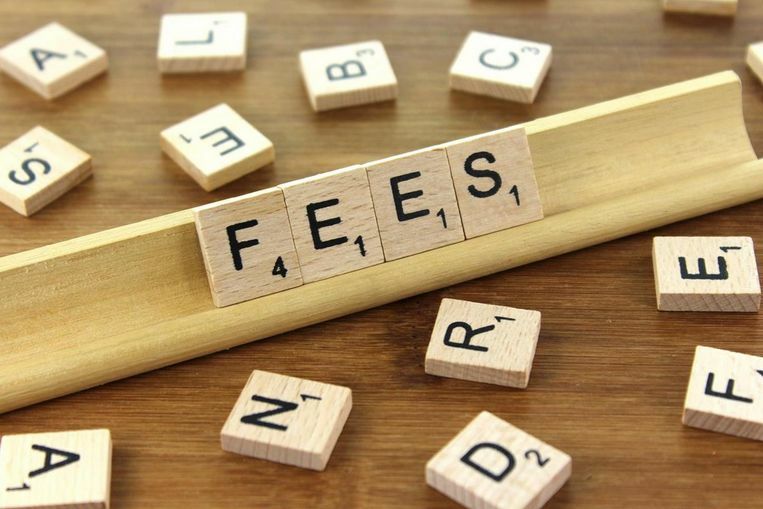 These fees vary and depend on the duration of stay and validity period as well as the class of visa for which you are applying. In this article, I am going to make a list of various Chinese visa types available to Nigerians and discuss all accompanying visa application and processing fees attached to each visa type. The wide range of Chinese visas available to Nigerians to travel into the China includes the tourist visa, student’s visa or study permit, business visa, transit visa, work visas as well as visit visas. Each of this has its own specified procedures for obtaining it and also visa application fees based on number of entries and duration of stay. The M visa type is the visa issued to individuals who intend to travel or have been invited to China to partake in commercial and trade activities. It is also issued to those willing to travel to China for entrepreneurial activities, business and other similar purposes. Business visa can be issued for single entry, double entry or multiple entry mode and can be valid for up to 10 years.However, the duration of stay is usually between 30 to 60 days similar to the tourist visa type and depending on the Chinese consulate. The transit visa type or the G visa is required for applicants who intend to travel in instant and/or non-stop transit through China en route to a foreign destination. Usually these applicants are foreign immigrants passing through China to other countries not with China as their final destination. These visa types are for students or people who intend to travel to China to study. This category of people are required to obtain certain approval documentation from their institutions to be submitted when applying for a student visa. The X visa is divided into two types based on the duration of stay or period of study and number of entries. This is a common form of student visa applied for to travel to China and is required for those willing to engage in academic studies in China for a period of more than 180 days. There is also the X2 visa type for students who are willing to study at institutions in China for a period not longer than 180 days. Note: The X2 Student visa is issued in single entry form only while the X1 student visa can be issued on multiple entry with up to five(5) years validity period. This type of visa is issued to people migrating to China to work as explained under the Chinese Immigration Law. It includes visa for individuals who have been offered employment in the People’s Republic of China or those travelling for the purpose of giving commercial performances in the Peoples Republic of China. Note: For the individuals who have been granted the Z visa, they are expected to apply for a residence permit within the first 30 days of arrival in China at the Public Security Bureau. The Z visa is issued for single entry mode only while the residence permit will give room for multiple entries. This is similar to the J1 visa type but different in terms of duration. The J2 foreign journalist visa is issued to foreign journalists who are migrating to China for the purpose of short-term news coverage. The duration of stay of the J2 foreign journalist visa is not longer than 180 days. This type of Q visa is issued to individuals who are family members of Chinese citizens or family members of foreigners who hold Chinese permanent residence. These individuals may be travelling to visit their family members in China or intending to travel for a family reunion. The Q1 visa is also issued to individuals who intend to travel to China for the purpose of foster care. The duration of stay of the Q1 visa is usually more than 180 days. The difference between the Q1 and the Q2 visa is in the duration of stay. The Q2 visa is issued to individuals who intend to travel for the purpose of visiting their relatives who are Chinese citizens or foreigners with permanent residence in China. The duration of stay in China of the Q2 visa is no more than 180 days. This type of S visa is issued to individuals who are family members of aliens who are currently students or workers in China. The duration of stay of the S1 visa is usually more than 180 days. The difference between the S1 and the S2 visa is in the duration of stay. The S2 visa is issued to individuals who intend to travel for the purpose of visiting their relatives who are working or studying in China for a short period. The duration of stay in China of the S2 visa is no more than 180 days. The F visa Type (Exchange, Study Tours and Similar Visits Visa Type) This category also referred to as the non commerce visa, is issued for individuals who intend to travel to the People’s Republic of China for exchange program, study tours and other similar activities with the aim of promoting skills and abilities in different fields of education, interchange of knowledge and persons in the arts and sciences. Individuals eligible for the F type visa also includes students from various levels of academics such as degree holders, masters students, teachers and educational instructors at all levels travelling to China for the purpose of impacting knowledge, researchers, trainees and professionals in the medical fields and so on. This visa type also referred is issued to individuals who are members or drivers of a ship vessel, a train, motor vehicle, an airline or aircraft within the People’s Republic of China or partaking in cross border transport activities through China. This also includes family member of those crew members who are accompanying them on such trips. This class of visa is required for individuals who have high level of skill, talent or extraordinary abilities either in the field of science, arts, education, business or any other talent and who are urgently required in China. This type of visa is issued to individuals who intend to migrate to China permanently or seeking permanent residence in China. This is a very common form of visa issued to those who intend to travel to the People’s Republic of china basically for tourism or sightseeing purpose. For the Tourist visa type, the visa can be issued in single, double or multiple entry forms and the duration of stay is usually between 30 and 60 days for each visit. Single Entry visa: this is for visa types for which the individual is only allowed to enter into China once. The cost of the single entry visa is N14, 000. The duration is usually three(3) months. Double Entry Visa: this type allows individuals to enter into the People’s Republic of China twice as opposed to one time in the single entry visa. The visa application fees for the double entry visa is N21, 000 and is usually valid for a period of six (6) months. The one-year multiple entry visa: validity period of one year and cost is N42,000. Authentication/ Notarisation: usually some documents for the application of certain visa types are required to be authenticated for them to be acceptable. This is simply the process of certification and legalisation of such documents. Business Authentication: including financial and property documents, the cost of authentication is N16,800. Some visa application centres also offer some special services whose costs may differ from service centre to the other.These includes expedition services to speed up the processing of your visa application. Ensure to ask your visa application assistant or at the consulate for the cost of expedition if you require such services. For the different types of Chinese visa, there are specific validity periods, duration of stay and number of entries. It is important to understand the difference between these terms to avoid confusion and mistakes that could be costly. The validity period of a visa is used to describe the length of time that the individual who holds a visa can enter into the People’s Republic of China. This means that so far the visa is still within the validity period(up to the midnight of Beijing Time on the last day of the validity)the holder can enter into China. However, once the validity period is over and the holder is outside China, such person can no longer be permitted to enter into China unless they reapply. Note: Once the validity period has ended, such visa becomes invalid and can no longer be effective even if the holder still have entries. To allow for entry into China, the holder will be required to renew such visa through a fresh application as validity period of visas are usually non extendable. As regards number of entries, it is used to describe the number of times the holder of a valid visa is allowed to enter into the People’s Republic of China. Once an individual has entered the maximum number of times permissible, the visa is no longer valid for entry even if its still within the validity period and such person is outside China. An individual will not be allowed entry once the number of entries has been used up. Note: Once the number of entries of a visa is exhausted, to allow for entry into china, the holder will be required to renew such visa through a fresh application for a new visa as new entries cannot be added otherwise. The duration of stay has to do with the maximum length of time the holder of a valid visa is allowed to stay in China on a single visit. The duration of stay starts from the next day after entry into china and is counted per visit. 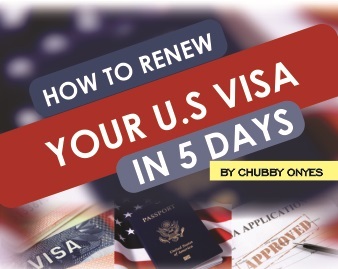 Therefore, if a person has a single entry visa of a 30-day duration. Then he or she enters china on the 1st day of September, such person can stay up to the 1st day of October which is the last day of his or her duration of stay. Note: If after the duration of stay, an individual has the need to stay for longer, such person is allowed to apply for an extension of stay at a Local Security Bureau or police station in china. It is advised to do this before your stay expires to avoid the risk of overstaying which may attract punishment as it is an immigration offence. Also, note that applying for an extension of stay does not necessarily guarantee that you would be granted such, hence you must prepare for any uncertainties and avoid actions that will result in unfavourable consequences. The term “Family members” is used to describe al individuals that fall in the category of spouses, parents, sons, daughters, spouses of sons or daughters, brothers, sisters, grandparents, grandsons, granddaughters and parents-in-law of Chinese citizens living in China or foreigners who hold a permanent residence in China. It is strongly advised that you go through all information required to obtain the specific visa type that pertains to your purpose of travel. Also, be advised that visa applications cannot be withdrawn once you have initiated the process. Therefore ensure you adhere to all rules and guidelines to avoid rejection of your visa application.